An arts initiative by the developers of Casuarina Beach Domain Resort who have committed $1 million over 7 years beginning in 2006. 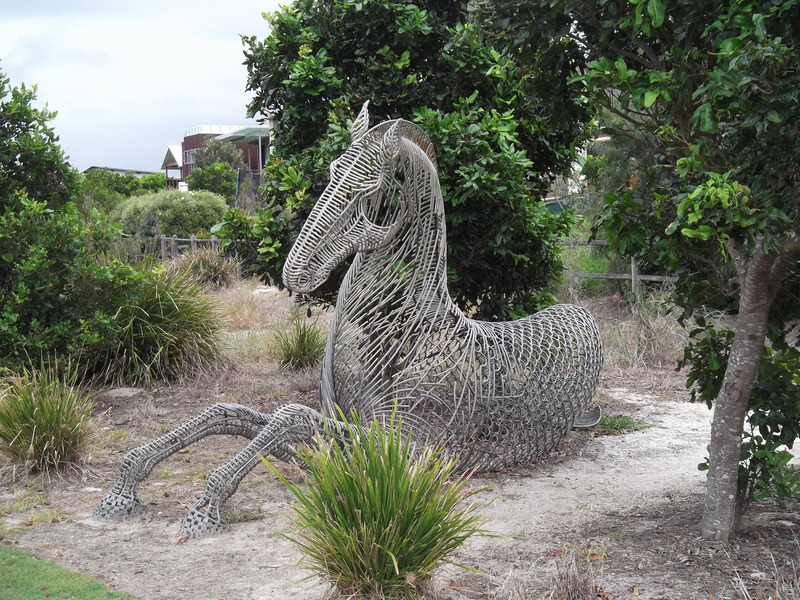 A joint undertaking with the Tweed River Art Gallery the sculpture competition is held each July. The 6 sculptures (so far selected) are set along a board walk that runs along an almost deserted beach of wide white sand. There is a barbecue area, children’s playground, and beach access. The walk is pleasant but I would not go out of my way to view the works unless the competition was on.